Republicans are trying to diminish the Congressional Budget Office's importance even before it issues its review of their Obamacare repeal bill. Lawmakers are calling out that the agency repeatedly overestimated how many people would gain coverage on the Obamacare exchanges. Republicans want to downplay the score of their bill, which is expected to show that millions could wind up uninsured. The CBO's report is expected Monday. It's true that CBO thought more people would flock to the Obamacare exchanges. When the law originally passed in 2010, it estimated 21 million would gain coverage through them in 2016. Three years later, just before the exchanges opened, the agency upped the figure to 22 million. That didn't happen. About 10.4 million were actually enrolled last year, according to the Department of Health & Human Services data. To be sure, the exchanges did not turn out to be as vibrant as expected. But their enrollment was also dampened because fewer employers stopped offering coverage than the CBO originally thought, said Marc Goldwein, senior vice president at the Committee for a Responsible Federal Budget. This would have sent more people looking for policies on the exchanges. And, more Americans turned out to be eligible for Medicaid, further reducing the number of folks buying policies on the exchanges. 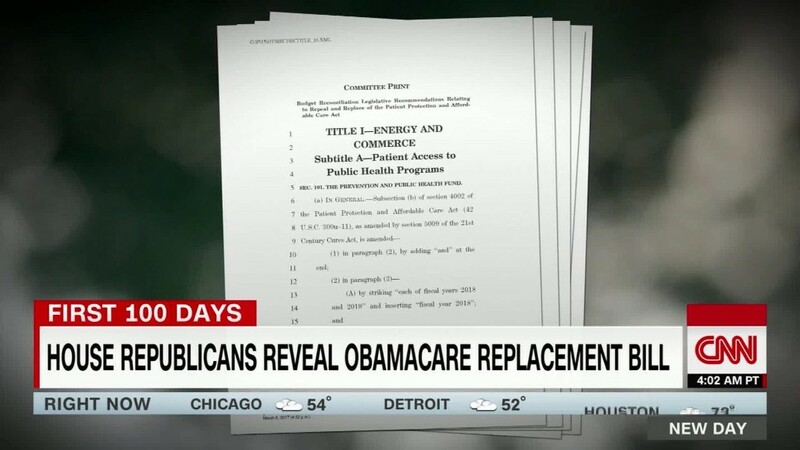 However, the agency was much closer to the mark on Obamacare's overall impact on coverage. In its original 2010 estimate, CBO thought the insured rate for non-elderly adults would rise to 92% in 2016. It tempered that view somewhat in 2013, after the Supreme Court ruled that expanding Medicaid was optional for states. The revised forecast was that 89% would have coverage in 2016. "Where people get coverage matters, but what's most important is that they are covered at all," said Matt Fiedler, a Brookings Institution fellow who served as chief economist at the White House Council of Economic Advisers in the Obama administration. Because there are fewer people on the exchanges, CBO overestimated how much the law's coverage provisions would cost overall. Originally, it expected the net cost would be $132 billion in 2016. However, it lowered that estimate to $110 billion in the estimate it released last year. The agency's review of the Republican bill's impact on coverage is expected to be ugly. But it's impossible to expect the CBO to hit the number exactly, Goldwein said. Its projection is in the center of a range of potential outcomes. Mostly importantly, the agency has a long history of credibility and neutrality, he said. "It's not novel to beat up on the refs," Goldwein said. "We can feel confident that whatever they put forward will represent their best, unbiased estimate."